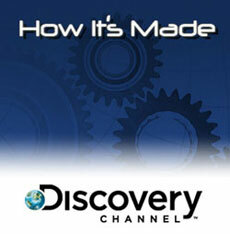 The Discovery Channel television show “How It’s Made” is seen by an international audience (180-plus countries) of more than 100 million viewers per week. The producers of the long-running show (it started in 1999) are looking for some truly unique Indiana production processes. To discuss the possibility of being featured on “How It’s Made,” contact Tom Bauer at (514) 288-3388 (ext. 229) or tbauer@productionsmaj.com. This entry was posted in Business News and tagged discovery channel, How It's Made, manufacturing processes by Tom Schuman. Bookmark the permalink.